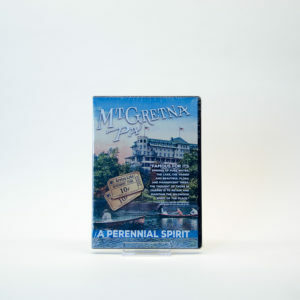 Explore the history of Mount Gretna and the people and events that were influential in the establishment and development of Mount Gretna. 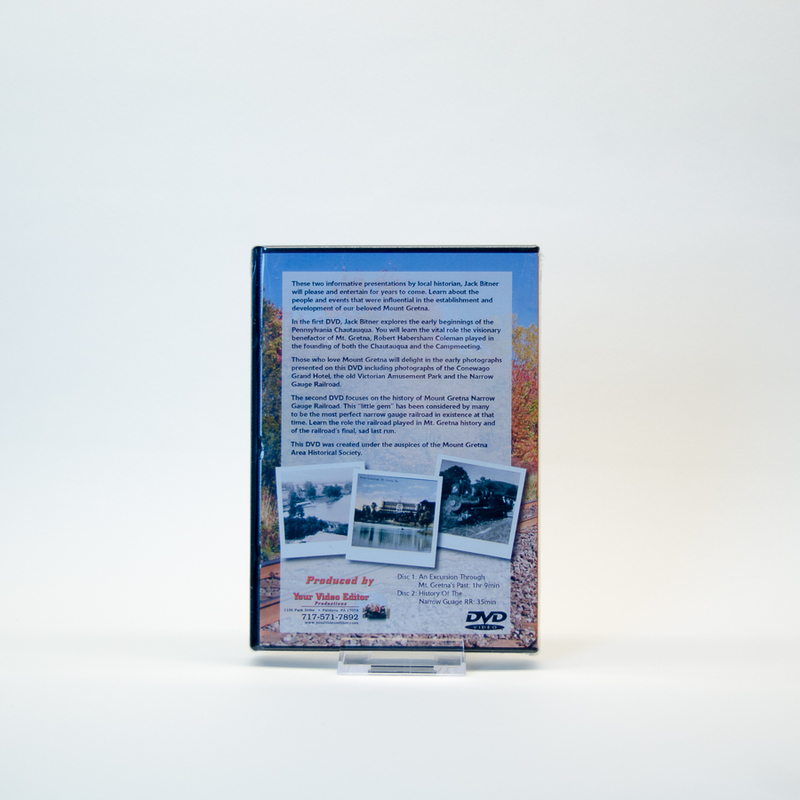 Two disk set: Disc 1: An Excursion Through Mt. 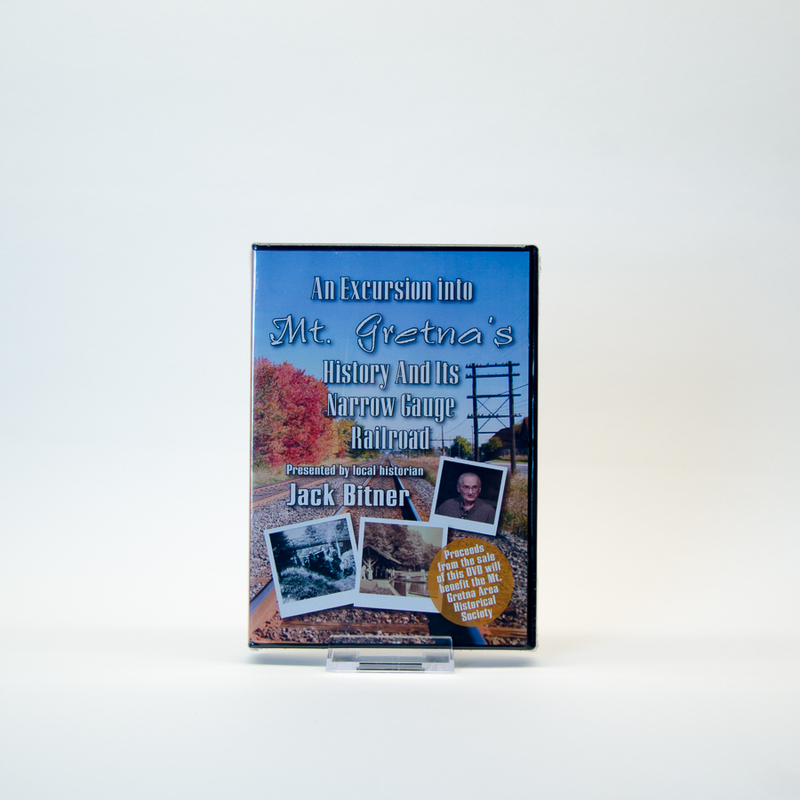 Gretna’s Past (1hr 9min), Disc 2: HIstory of the Narrow Gauge Railroad (35min).